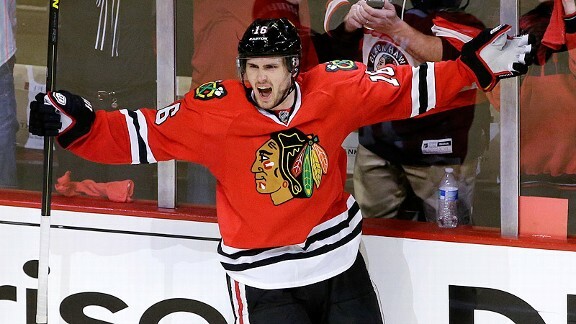 Around the league many teams have unveiled “3rd Jerseys” this season. There are throwbacks like the Ducks and Coyotes, brand new designs like the Avalanche and Jets, and some slightly off the wall ones like the Hurricanes and Devils. You can see all 15 of them here. The Golden Knights will NOT be getting a 3rd jersey this season and odds are it’s not even in the cards for next year either. However, eventually Adidas, the NHL, and The Creator will want to pick up a couple extra bucks and a 3rd jersey will be unveiled. With a little inspiration from the Drumbots and the Season Ticket Holder Box, we decided to take a stab at a concept. 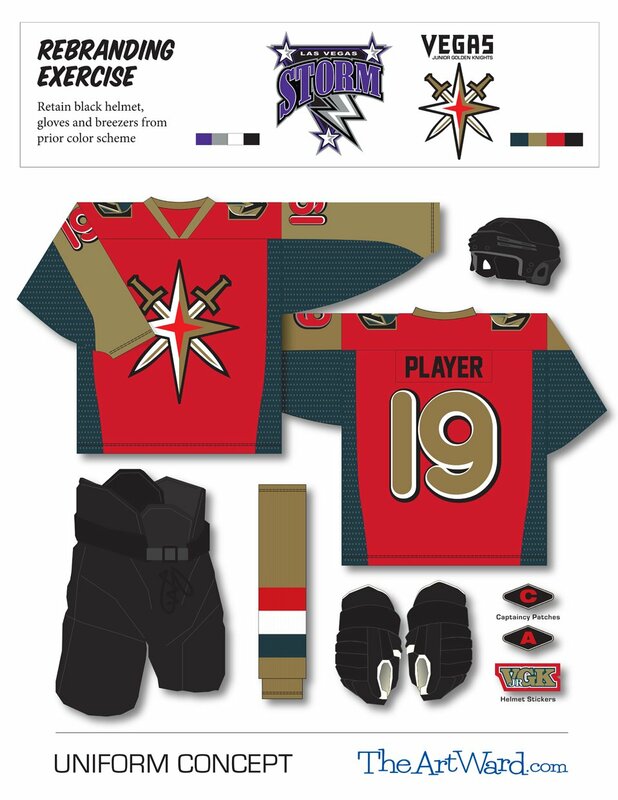 These concepts were designed by Drew Goldfarb, former pre/postgame host for the Florida Panthers who has adopted the Golden Knights as his new team of choice. 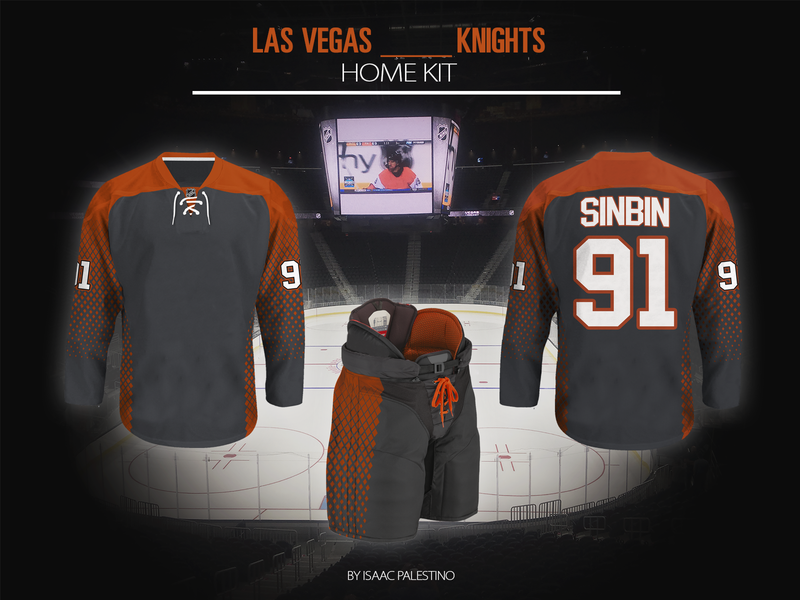 While most are focused on what the jerseys for the Vegas Golden Knights are going to look like when they are unveiled on June 21st at the NHL Expansion Draft/Awards Show, one SinBin reader has a slightly different aim. Jeff Kruger (not related to potential Golden Knight, Marcus Kruger) has his eyes set on the sweaters of the Vegas Junior Golden Knights. Jeff took the time out to create some mock ups for the former Nevada Storm, now the VJGK. Honestly, I kind of like them for the big Golden Knights. The numbers scream junior hockey and the use of the Vegas sign for the captain patches is a nice touch. Jeff was also conscious of the current gear many players may already have, keeping the black helmet, pants, and gloves to match the new jersey. 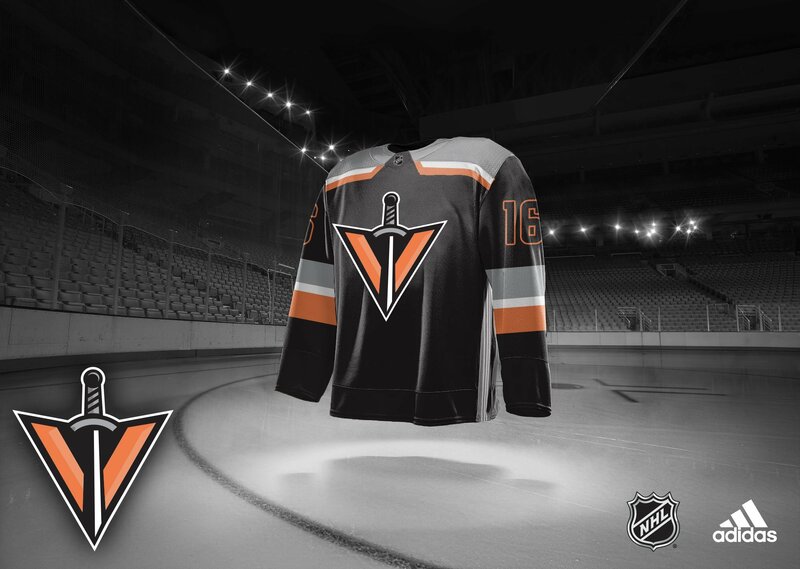 The wait to finally see the Vegas Golden Knights jerseys is killing us too, so we decided to take another stab at what they may look like when we’ll see them at the Expansion Draft on June 21st (yes, June 21st. That’s the plan, tell everyone so they stop asking me). We already know the homes are a “storm grey” with black and gold trim with red and white accents, and the aways are white with black, gold trim and a little dose of red as well. But our fearless leader gave out a bit more info on them recently. There’s also the wrap on the team store which we think may have dropped us a hint. 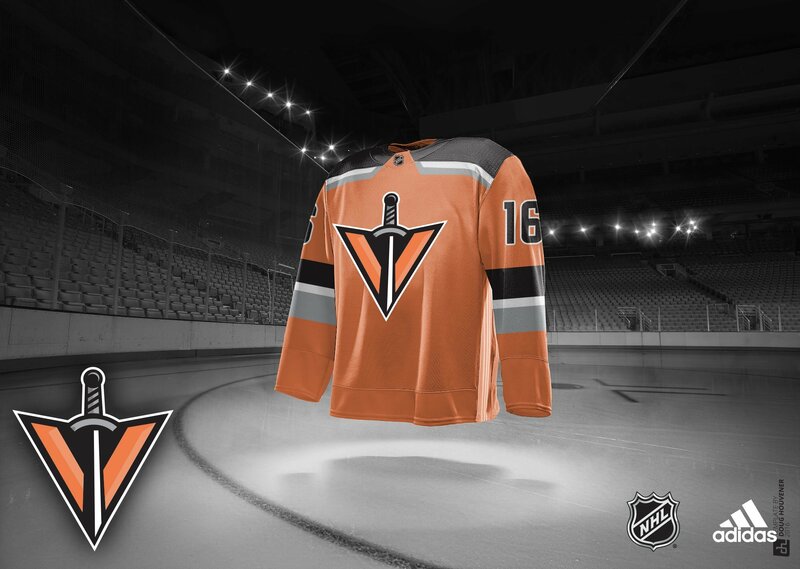 So, here they are, Isaac Palestino’s shot at the Vegas Golden Knights jerseys. NOTE: These are NOT official pictures of the jerseys from the organization. 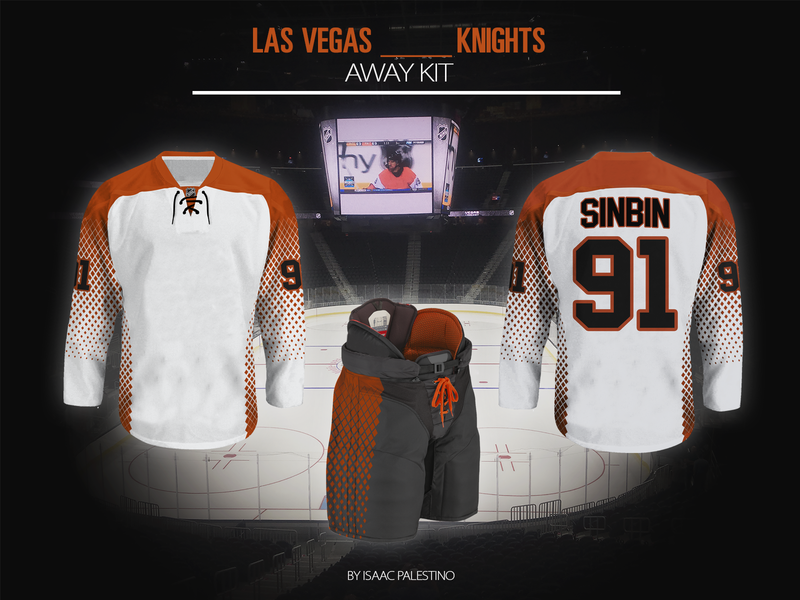 No one at SinBin.vegas has seen the jerseys to this point. So we’ve got our name, we’ve got two logos, and we know the color scheme. Now it’s time to put pen to paper, or really PNGs to PSDs, and take a shot at what the jerseys might look like when they finally unveil them sometime next year (we’re still hearing Expansion or Entry Draft, but that could easily change). Our guy Isaac is hard at work on another really awesome project which we will share with you soon, so we enlisted superstar former Florida Panthers Pregame/Postgame host, Drew Goldfarb to help us out. Here are a couple quotes we had Drew work off of in designing these concepts. We are working with two logos and a word mark, but there’s certainly a chance a third logo is unveiled and placed on the alternate jersey. Here’s what we know. The team name will be unveiled sometime in November, unless it gets delayed again. They will select Desert, Silver, or Golden Knights. It’s possible the team is Vegas Something Knights rather than Las Vegas Something Knights. And the jerseys will include two things, a “steel mesh” and a Red Rock inspired color. With those ideas in mind, we had our pair of graphic designers take a stab at what they think the team will look like when they hit the ice next October. First off, here’s our resident jersey concept artist Isaac Palestino’s take on what The Creator may have in mind. 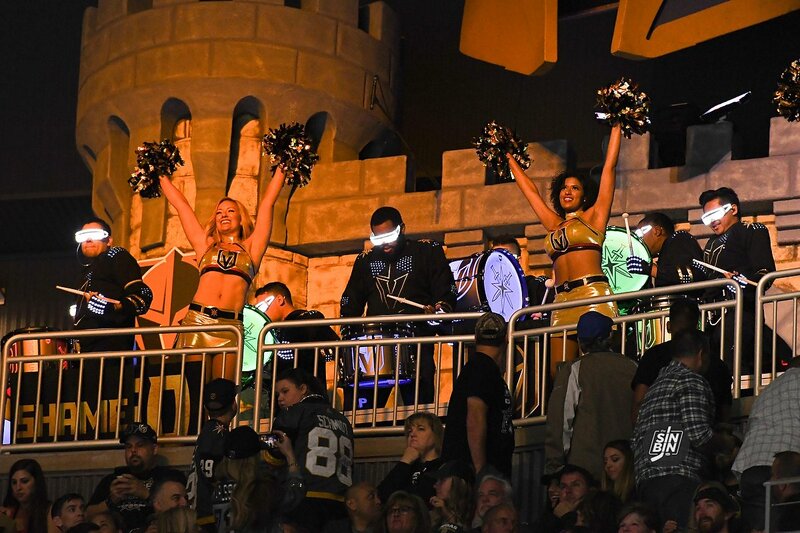 With the news of the trademark being filed for the names Silver Knights, Golden Knights, and Desert Knights, Vegas has been buzzing with discussion over which adjective they prefer. Way back in November our graphic design wiz Isaac Palestino designed a Silver Knights jersey that was absolutely brilliant. But one design simply isn’t enough. 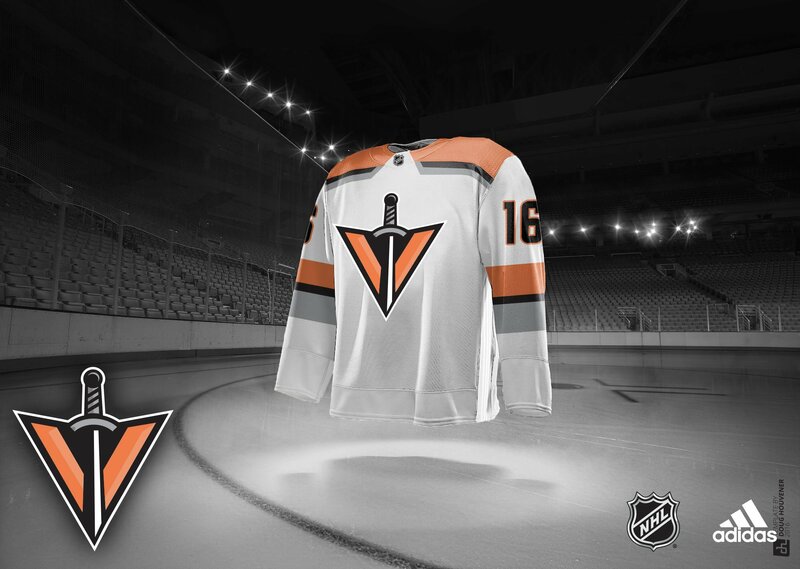 Today, we were sent another Silver Knights design from Newfoundland, Canada’s, Troy Birmingham that is quite possibly the sleekest concept we’ve ever been able to share. But before we share the jerseys, let’s discuss why Silver Knights makes the most sense of the three names available. Nevada is the Silver State. Working in the “Battle Born” slogan with the Silver State is an amazing concept that has a connection to Vegas. Ok, enough discussing, let’s see some concepts! About a week ago we learned Las Vegas fans will not have the opportunity to vote on the final name of our brand new team. The Creator and his staff submitted nine team names to the league for approval and they will follow through and select one in the coming weeks. Many have speculated what those nine names may be. We know Black Knights and any variation of the name is on the list, but the remaining names are a mystery. We’ve done concepts for names like Aces, Rat Pack, Venom, Headliners, and more, but there’s always been one name that we feel like we’ve ignored. It’s a long standing tradition in professional sports history to take the name of a previous minor league franchise and use it as the new name for a major league team (see Vancouver Canucks, Miami Marlins, Detroit Tigers, etc.). So why not name the team after Las Vegas’ longest running minor league hockey team, the Wranglers? SinBin.vegas’ superstar graphic designer and the driving force behind all of our concepts, Isaac Palestino, took the old name and gave it a brand new look.